Apple's updated mobile operating system, iOS 10, includes many new accessibility features. One of these features is Software TTY calling. 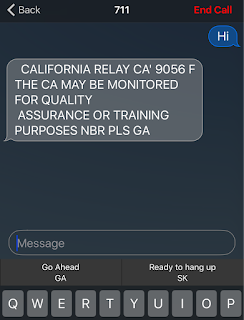 TTY calling allows people who are deaf and people with hearing disabilities who cannot communicate using voice calling to communicate with people by using voice calling through relay services. The TTY user with a hearing impairment types a message and a relay operator reads that message aloud to the person on the other end of the phone call, who does not have a hearing impairment. When the person on the other end of the phone call speaks the relay operator types what is spoken and the text then appears on the TTY device. Previously, this communication method required a physical TTY machine such as the one pictured above. These machines are large and much less convient to carry around than an iPhone. With iOS 10, Apple is building the functionality of a TTY machine into the iPhone. 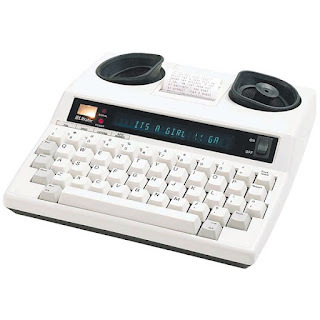 This eliminates the need for people who rely on TTY calling to have a physical TTY machine. Software TTY calling on the iPhone works much like an iMessage conversation with a few differences. When software TTY is enabled, the user makes or receives a phone call through the Phone app. Once the user dials the number and presses send the user has the option of placing the call as a voice call, TTY call, or TTY relay call. TTY relay calls will be placed using the relay number specified in settings. If the user chooses one of the TTY options they will be able to access the TTY interface which resembles an iMessage chat. 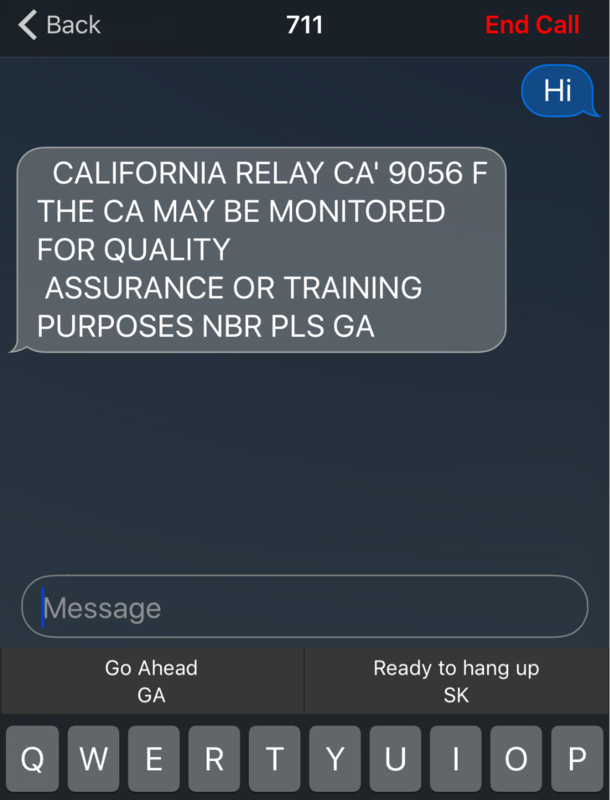 iOS even suggests TTY abbreviations above the keyboard during the conversation such as GA for go ahead and SK for ready to hang up. With voice calling on the iPhone users can press the home button during a call to access other apps while still talking to person on the other end of the call. I frequently use this feature when placed on hold. While on hold I will check my email or read the news. However, with software TTY calling, users are not notified when new TTY messages are received while using other apps. For example, if software TTY users wants to check their email while on hold they will not be notified when the next message is received. This means that TTY users might miss incoming messages when multitasking. I would prefer that the feature send notifications when the user is multitasking to alert the user that a new TTY message is received. Much like iMessage sends notifications to users when a new message is received. This would allow TTY users to multitask without fear of missing a message. The software TTY feature of iOS 10 is a great addition to the iPhone. I think it will be viewed as a major upgrade for TTY users. iOS 10 users who want to enable software TTY should navigate to Settings > General > Accessibility > TTY and then switch on software TTY. This menu also gives users access to other TTY settings such as setting the relay number.